"Learning disabled people should not die on average twenty years before their non-disabled peers," said the family following the sentencing. 'Justice for LB' campaigners thanked "everyone who has stood alongside us fighting for what is right and just" after a judge ruled Southern Health should be fined £1 million for the avoidable death of Connor Sparrowhawk in their care. Connor - nicknamed laughing boy or LB for short - drowned in a bath after an eplileptic seizure having had no risk assessments at Slade House in Oxfordshire. Connor's mother Dr Sara Ryan has led campaign efforts through several inquiries and hearing, with George Julian live-tweeting proceedings, supported by crowdfunding. "Five years ago this month we took our beautiful boy to what we thought was a specialist NHS unit," a family statement read. "He drowned in the bath 107 days later." "No one should die a preventable death in the care of the state. Learning disabled people should not die on average twenty years before their non-disabled peers. Families should not have to fight for answers and accountability. They should not have to raise funds for legal representation at a time of unspeakable grief and pain." "Southern Health dug deep into publicly funded pockets and armed itself with a range of legal weaponry and dirty tricks." 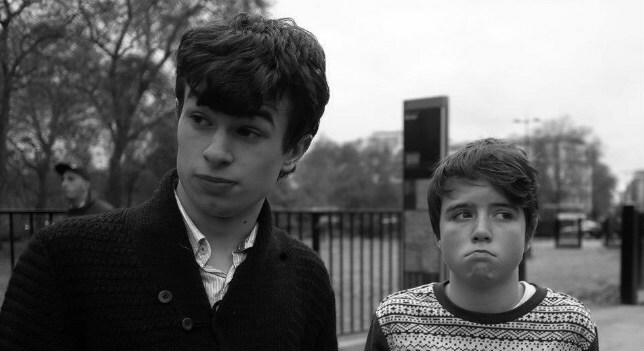 "The #JusticeforLB campaign has shone a light on systemic failings in the care of learning disabled people. We have collectively and effectively revealed weaknesses in regulatory practices, a disregard for the lives and deaths of certain people and the limitations of work by large established charities in this area." "We appreciate Dr Nick Broughton’s recognition and acknowledgement of the failings that spread across five years under Katrina Percy’s leadership, and his heartfelt apology for these." "We thank the HSE for their meticulous and sensitive investigation and everyone who has stood alongside us fighting for what is right and just." "I’m left thinking if Connor was here now, in the shadow of Oxford Crown Court and the St Aldates police station, he would repeatedly ask ‘why mum?‘"
"I’d reply ‘I don’t know matey but we’ve done you proud’." Southern Health admitted to "systemic failures" and pleaded guilty in 2017 to breaching health and safety laws. Passing sentence at Oxford Crown Court, Mr Justice Stuart-Smith said the deaths of both Connor and Theresa Colvin, who died under Southern's care in 2012, were "unnecessary human tragedies". The judge said the sentencing reflected "a just and proportionate outcome that marks the seriousness of the Trust's offending, the terrible consequences of that offending, and the other material factors that I have indicated". He added it was a "regrettable fact" Dr Ryan and Roger Colvin, Theresa Colvin's husband, had to campaign to uncover problems at the Trust.